I like this old school country from Doug Adkins. 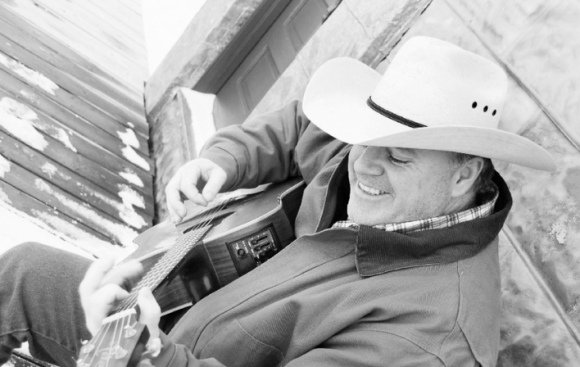 Are you ready for some old school country with a little Western tinge? That’s what you’re going to get with this new song from Doug Adkins. You’re definitely not going to hear this one on the mainstream radio and that’s probably too bad. I like this kind of country. This is country storytelling at its best. It’s about a man that has been living a somewhat lonesome style of life. But then he goes out and finds someone that might be going through the same thing. They’re both lonesome in life and in love right now, but they can solve that by spending time together. Sure it’s kind of a pickup line song, but that’s how all relationships start. They have to begin somewhere so why not on the dance floor followed by a night of talking and getting to know each other? This one really reminds me of a song that George Strait could have released back in the ’80s. I don’t know if this song would even do well for George nowadays. It’s pretty old school country and that’s okay. If you love that era of country you’re going to love this song. I guess we do still have songs like this today. Things like Luke Bryan’s Play It Again are similar about two people meeting and falling for each other. But it’s nice to hear the old school style sometimes too. Nice fill in guitar playing, but many years too late. Dayne, Thanks much for the write-up! It’s nice that you really listened to it, easy to tell from your comments! I appreciate the Old School comment, exactly the way I like to record. For my taste, it’s nice to hear the steel guitar and it’s nice if the drums aren’t drowning out the nice guitar parts. Think Brent Mason does a great job on the guitars and Scotty Sanders has tasty fills on the steel. Hopefully there’s a few more guys like you in the world that still appreciate that sound! I appreciate you taking the time!